I'm thinking about heading to Utah this spring or fall for a week or so of backpacking. I'd like to get your suggestions on where to go. No canyoneering or climbing -- not my thing. Moderate scrambling is OK. Currently looking at Canyonlands, Arches, Capitol Reef and Escalante but any place I can get my slickrock fix is fine. Also if you can recommend planning resources that would be appreciated. Canyonlands Needles district - out to Chesler park and around. Or a Salt Creek trip, but hard to get permits. At least one of these should be on everyone's bucket list. Mine and I believe one of Mules Ears favorite too, Grand Gulch. If your willing to take the rental down Hole In the Rock road, Coyote Gulch. Many people drive it with rentals. ME has a few others also that I know he can describe best. Don't forget about waiting in que for a backpacking permit down into the Grand Canyon. Look at Hance creek or Hermit trail. Friend did Thunder creek trail loop from the North side this year and said it was one of his best trips, but I can't speak to how easy it is to get on a walk up. To make it down to Phanton Ranch from the South side has never taken us more than 3 days waiting. Don't forget about Bryce Canyon, you can hike it from end to end and avoid the tourists, of which are many. Anything along Route 12 is worth a look as most areas are easily accessed by car. If you are in Boulder, eat at Hell's Backbone Grill. Its mostly for the offroading crowd, but Moab has lots to offer also. Go to the San Rafael Swell. BLM land. Awesome country. All my excursions have been off road in a rental truck with zero problems. If you willing to overcome this I think it will open up a lot of opportunity for you. A few suggestions are Little Death Hollow and Wolverine canyon loop, Coyote Gulch via crack in the wall --> Jacob Hamblin Arch climb out, Bears Ears - Youngs and Lean-to Canyon from Sundance TH, Byrce Canyon - Fairyland loop (only section I'm a fan of here), Little Wild Horse Bell Canyon loop, Sheets Gulch, Kane to Bullet Canyon in Grand Gulch, Wire Pass TH to White House TH ,and many more. It all depends what your into slots, canyons, solitude, car camping, etc. Hiking Grand Staircase-Escalante & The Glen Canyon Region- Ron Adkinson, it's a Falcon Guide but covers a lot of ground and will give you a lot of ideas. Kelsey's Non-Technical Guide-Colorado Plateau will also give you lots of ideas but don't try to match his hiking times, he is a known nut for speed. 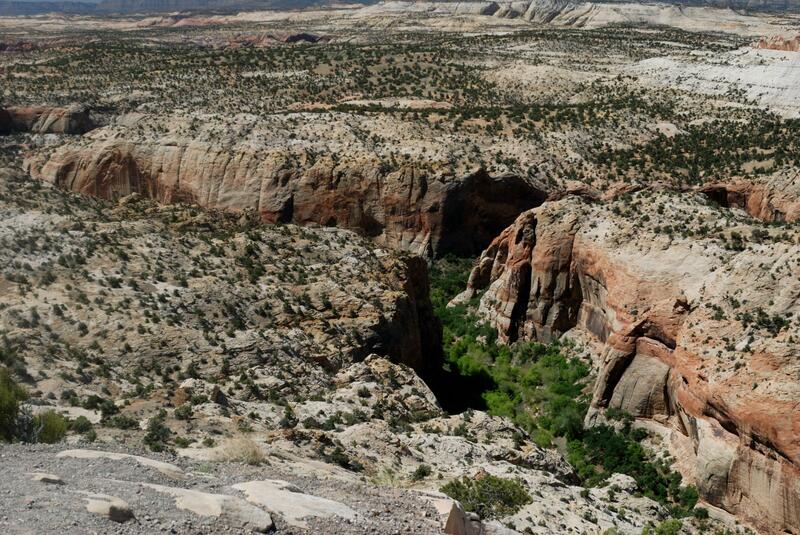 Hiking the Southwest's Canyon Country- Sandra Hinchman has a number of interesting "tours" with lots of places and hikes included. Canyonlands is actually kind of hard to get some good info on but David Day's- Canyonlands National Park, Favorite Jeep Roads and Hiking Trails is really good. The Bogley Outdoor Community is a forum like BBC with a ton of info and I have used it a bit for info and ideas but I am not sure how much current activity there is. 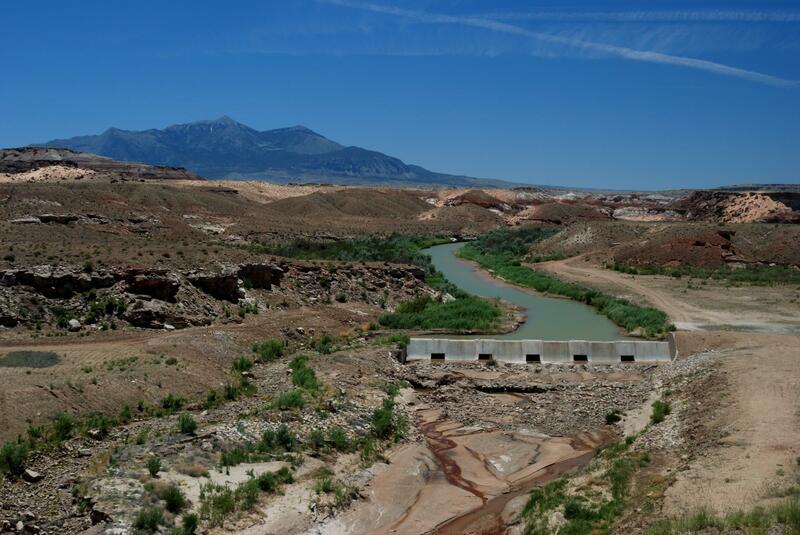 My website has several reports including a good loop in the Upper Paria river area. Mule Ears, elhombre, and catz know their stuff when it comes to southeastern Utah. They've done alot of trips out there. I agree with the Needles district. Awesome place and several hikes that meet your criteria. In the Needles I would recommend a loop hike through Devil's Pocket and Chesler Park. Upper Salt Creek is very scenic as well. I highly recommend the Grand Gulch too and Cedar Mesa in general. Definitely, put that area on your list. 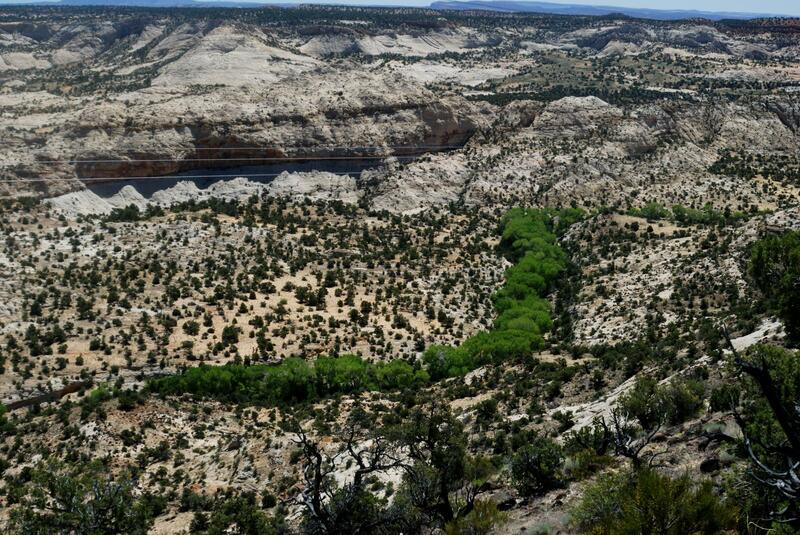 Haven't been to Escalante or San Rafael Swell yet, but people say it's awesome. I attached some Canyonlands Google Earth tracks from my GPS for you to look at. I've also made at 'Cedar Mesa Google Earth Project', similar to my Big Bend one that I can share with you (or anyone else) if you want it, just PM me. Reluctant to publicly post that one since it has 100s of ruins/pictograph locations in it. Bogley Outdoors website is Utah centric and I'm sure they can provide you with any additional info you may need. I also recommend David Day's backcountry trails book for Utah. I know you use Google Earth, so here are some 24K topo superoverlays for the Southeastern Utah region. These are similar to the Big Bend ones I made in this post. Freaking OUTSTANDING Lance!! Your picture of Devils Kitchen brings a tear to my eye. Best part, my little girl recognized it immediately. I don't have much to add to this but I have been to all the Utah national parks. While they were all great, I really had an appreciation for Capitol Reef. If I could only go back to 1, that's the 1 I would pick. And most people have never heard of it. Zion, while maybe the most beautiful, had WAY too many people. Only spent the day at Canyonlands and Arches. Thank you all for the great suggestions. I'll do my best to put them to good use! Great suggestions from many. Here is my recommendation. Drive to Bryce, spend a night and a day there (that's all you need), then spend the rest of your week driving east along Route 12, doing day hikes and camping at night. 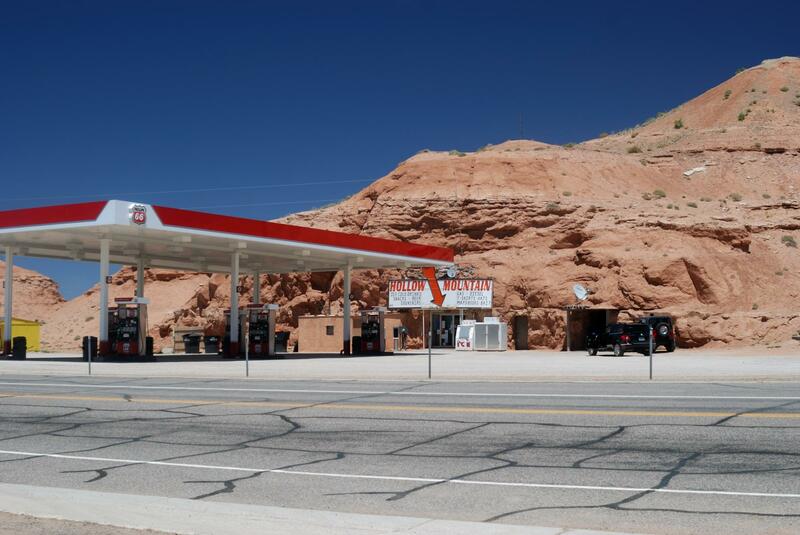 Head for route 24, which takes you through Grand Staircase-Escalante, where there are abundant opportunities for hiking and camping, and it is spectacular. Also visit the store in the rock at the junction of routes 12 and 24. I did this in 2013. Here are some pictures.